Well, friends, our family pushed through the month of July with all of its busyness and made it to the other side. To August. And to rest. And we’re ready for rest. I’ll be taking some time to relax with my family, to regroup and refresh. 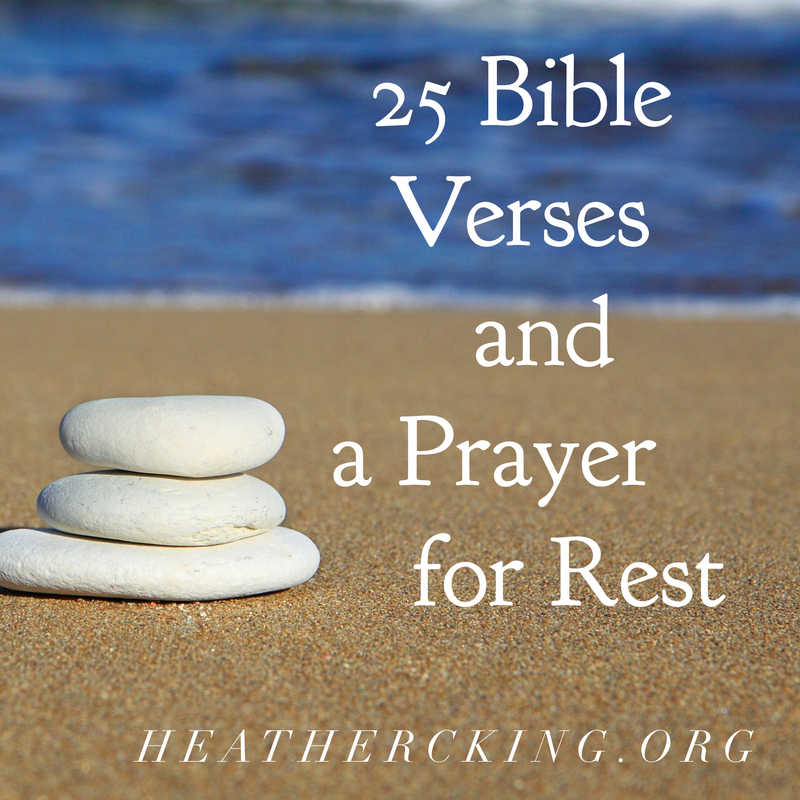 Here are 25 verses and a prayer for rest to share with you while I’m away. This is how we know that we belong to the truth and how we set our hearts at rest in his presence:20 If our hearts condemn us, we know that God is greater than our hearts, and he knows everything.